One of the most recognisable, and most expensive, fashion trademarks is currently the subject of a lawsuit. Christian Louboutin’s red soles are the recognised hallmark of a Louboutin, and now the designer has launched a lawsuit over copycat soles produced by YSL. The lawsuit allegedly cites four models – YSL’s Palais, Woodstock, Tribtoo and Tribute as the culprits, with Louboutin stating these designs have all copied his patented red soles. According to Refinery 29, Christian Louboutin is suing for a massive $1 million for infringing on his trademark style, and is quoted by the Telegraph’s fashion team as calling the soles “virtually identical”. YSL are said to be making no comment on the offending shoes which are still on sale. 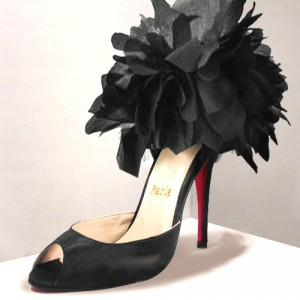 As Louboutin was awarded trademark rights over red soles in 2008, our money backs him as the victor, but at the time of press, the dispute was ongoing.